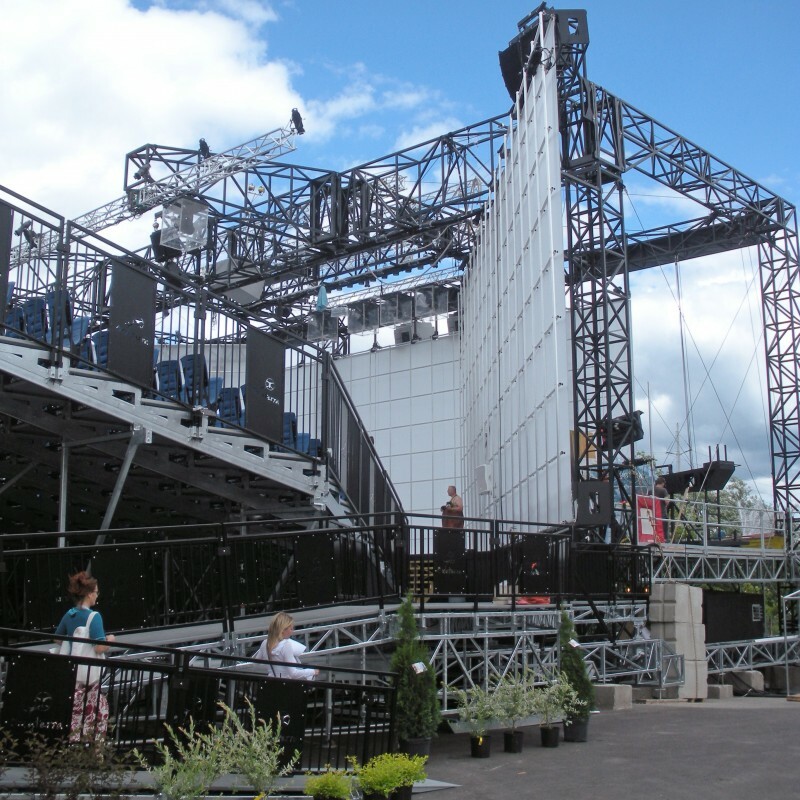 The city of Sherbrooke wanted an outdoor auditorium along the Magog River to host different types of shows for years to come. But, it had to be easy to assemble and dismantle. 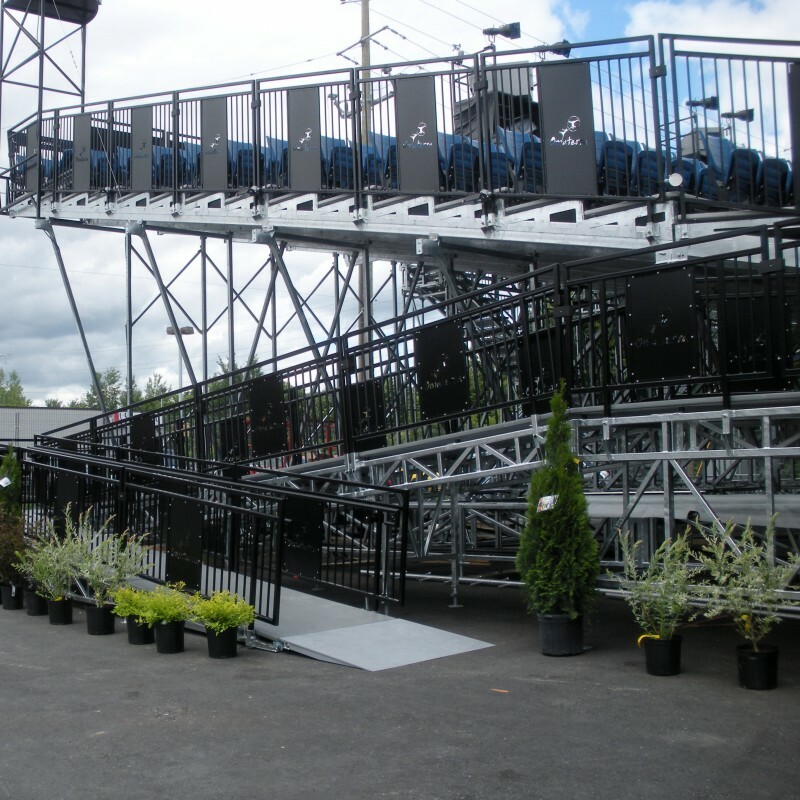 To accommodate the usual demands of a show and withstand all natural elements, we developed a base structure made of galvanized steel that would serve as ground zero for the entire auditorium (grandstands, stage, proscenium). We designed and built the support structures for the screens, its installation system, a FOH extension for lighting, and large speaker brackets. The grandstands have 1,000 seats with quick riser attachment chairs. They are made of double zinc plated steel and can be reconfigured within hours.